Dong Yaoqiong's Twitter account was also deactivated after her protest against the Chinese president. This is Dong Yaoqiong, a 29-year-old woman from Zhuzhou in Hunan, China. Dong lives in Shanghai. On Wednesday at around 6 a.m., Dong shared a livestream of her throwing ink on a poster of Chinese President Xi Jinping in Shanghai. 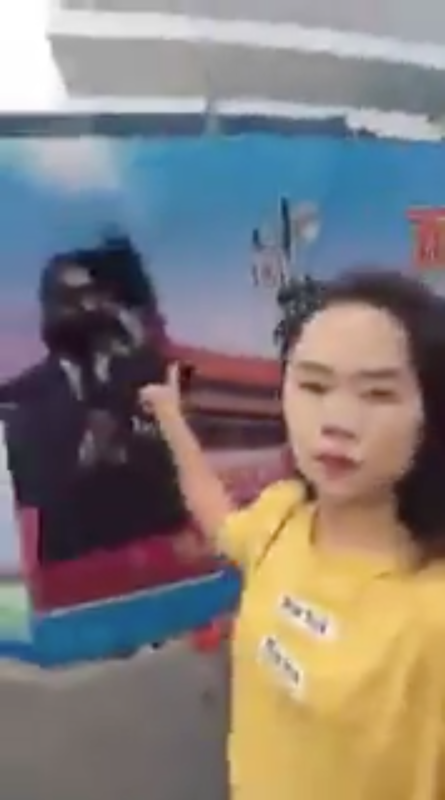 In the video, Dong says, “I oppose Xi Jinping and his authoritarian dictatorship” before proceeding to pour ink on the poster. Her stream went viral on Twitter and was shared widely in group chats in Chinese messaging app WeChat, according to local media. Around noon, Chinese activist Hua Yong tweeted Dong's video and expressed his concern for her. "Emergency signal boost: I just saw this video in a WeChat group chat, and I am really worried about this woman and her safety. This livestream has already been shared domestically in China. I want to know her name. Can our friends in Shanghai please inquire after her current status? Please everyone pay attention to this, don't let her voice disappear. Defend the constitution. Exercising freedom of speech is not a crime." 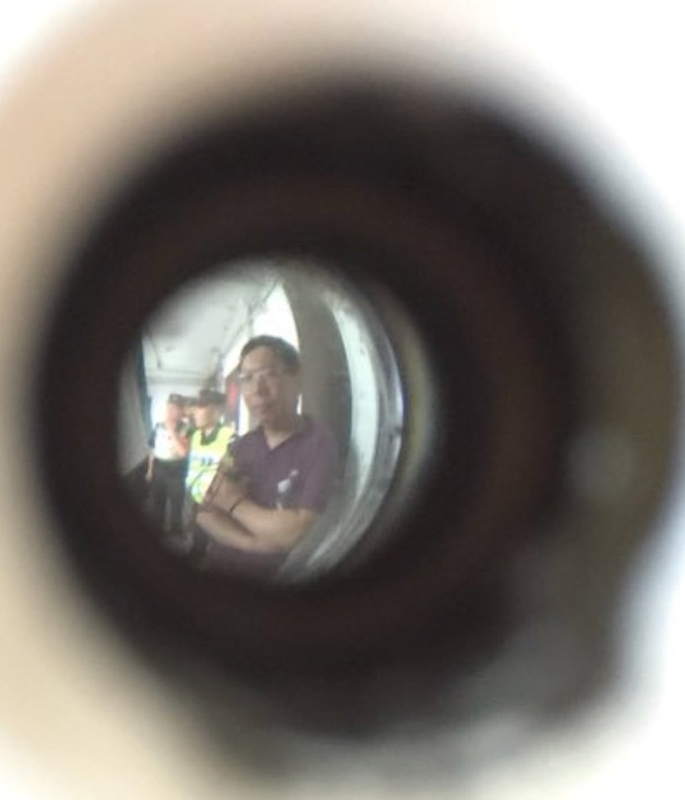 Hua, who was imprisoned for documenting the mass migrant eviction in Beijing last year, told BuzzFeed News that he was then able to find Dong’s Twitter account and saw that she was already home. At 2:28 p.m., eight hours after her livestream, Dong tweeted that a group of uniformed men were standing outside her house, along with a photo of what looked like a group of police officers outside her door. Hua quote-tweeted Dong, telling her not to open the door and not to go outside. "Don't open the door. Don't go out. Use your phone and keep tweeting to update us on your status. We are watching and supporting you. The more people who are watching and following along the more it is protection for you. Listen to brother Yong: Don't be rash, don't go outside……"
Hua, knowing that she might be detained, immediately started a livestream on YouTube to bring awareness to Dong's case and called for the public to follow along. In the video he said that he hoped Xi wouldn't be too harsh in handling the incident, and that he'd just fine her and make her write a letter of apology for damaging public property. "This is the outcome that the Chinese citizens would love to see," he said. According to Hua, shortly afterward Dong's tweets were deleted. And not long after that, her entire Twitter account was deactivated. Hua said that his friends then tried to call members of Dong’s family and friends but were unable to get in touch with them, and that by the time they found Dong’s actual number, it was no longer working. 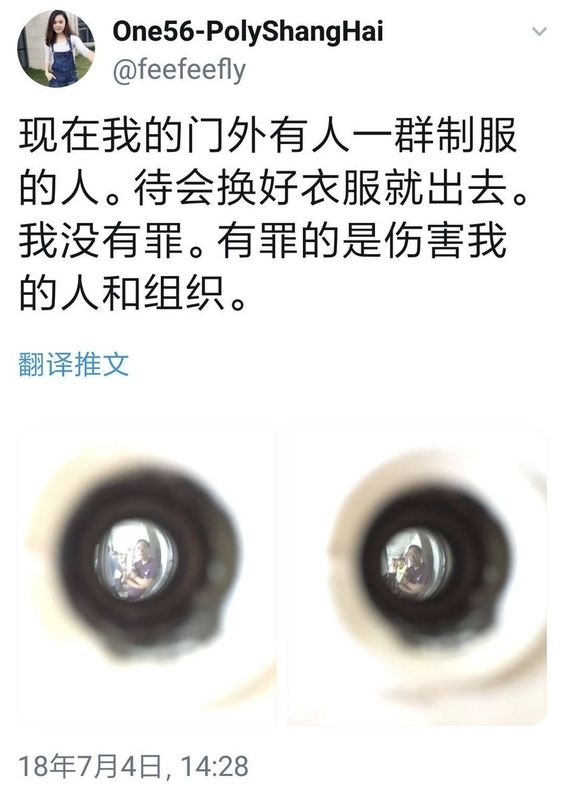 After her disappearance, people in China continued to share photos of Dong on Twitter so that she would not be forgotten. "Everyone please remember this brave and righteous sister. Brothers come together! Sisters come together! We will win. This photo is of Dong Yaoqiong, from Zhuzhou, Hunan, works in Shanghai, 22 years old [sic]. She has now disappeared because of her actions against the CCP's dictatorship. Please everyone pay attention." 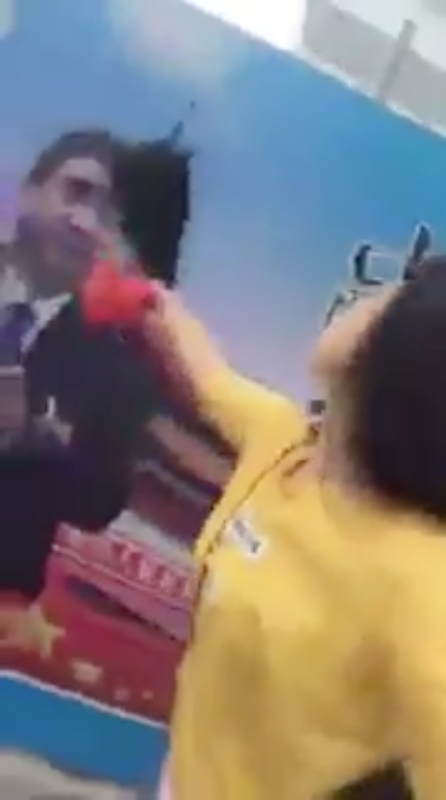 "The girl who threw ink on Xi Jinping's photo is called Dong Yaoqiong. She works in real estate in Shanghai is apparently from Zhuzhou, Hunan. Her Twitter account @feefeefly has been deactivated, and her phone number has been disconnected. Due to the dictatorship system, she was arrested without a doubt. I hope that the international community will become aware of this news, thank you." "The girl who threw ink." As well as calling for her release. "Today's tweet: calling for justice for the girl who splashed ink, Dong Yaoqiong. Today is July 6, 2018, two days since Dong Yaoqiong's disappearance. Condemn the evil tyranny of the Communist Party. Xi Jinping, set her free. Expressing freedom of speech is not a crime." "Calling on the police not to harm her. She did nothing wrong. It's freedom of speech. The whole world is watching." This morning, someone had thrown ink on the Beijing Municipal High People's Court. "The Beijing Municipal High People's Court today. Throwing ink has become a trend." And a lot of people have also started to pour ink on photos of Xi to protest and show solidarity with Dong. "This is to show solidarity with the girl who threw ink, Dong Yaoqiong. Put some color on this bun face." "Throwing ink has become an action." "China is the people's. Out with the Communist Party!"